Two of the many lessons you learn when working in the media and being raised on farms are. The survival of humanity depends upon 15cm of topsoil, the ecosystems which serve us and a climate that enables us to grow food. The owners of Currie Communications – Susan McNair and I – have been taught these lessons and this partly explains why we’re building a company dedicated to fostering sustainable development. We’re proud Currie is a participant in the UN Global Compact and a certified B Corp. We’re also a partner to the Banksia Foundation. We work on projects that contribute to progress towards the UN SDGs. So, it’s no surprise that Susan attended the Responsible Business Forum (#RBFSingapore) last week and I’m attending the Sustainable Development Goals Australia (#SDGA16) conference in Sydney this week. One of the things we’re hearing at these events is that the route to sustainable development is not direct. It’s winding. There are detours. It’s been often described as “a journey with no destination”. Our own sustainability journey as communications advisors thus far includes promoting sustainable practices in the tropics (SDG14), strengthening Australia’s learning culture (SDG4) and defining sustainable beef production (SDG2). So, it was with much enthusiasm that we joined like-minds at #RBFSingapore and #SDGA16 to talk sustainable development. For your interest here a few insights we took from these conversations. Sustainability is not only about reducing risk for shareholders. Also think about it as building shared value for stakeholders (considered as the six capitals – social, natural, financial, human, intellectual and manufacturing). Be resource-efficient (SDG12). The responsible use of natural resources i.e. delivering products and services worth more than what they cost the planet and society (in terms of inputs and impact) is an immediate priority. Not only do we manage something we measure, we value it, whether that be gender equality (SDG5) or any other SDG. So, set targets and identify indicators and metrics for measuring progress where it matters most. This requires you to lead. As one of Australia’s founding B Corp (#BtheChange) members, Currie is showing how business can be used as a force for good to tackle social and environmental problems. Join us. Wicked problems such as sustainable development demand creative solutions borne of collaborative innovation. Partnerships between government, the private sector and civil society (SDG17) can make this happen. Well, the SDGs are one way we can be smarter. At SDGA16 they were called a ‘to do’ list for a better world. 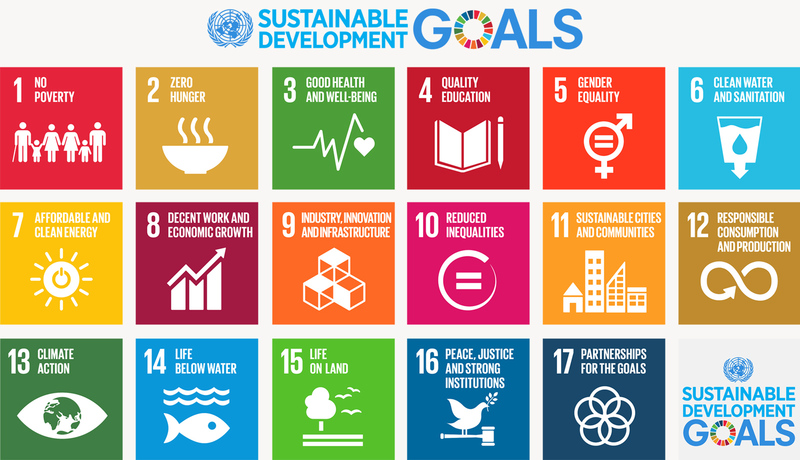 The SDGs are hugely ambitious, yet they hold the promise to be transformative for humanity. Are we ready for the challenge? Of course, we are. If you need convincing take a peek at the record number of finalists whose imagination and innovation will be celebrated by the 2016 Banksia Sustainability Awards today. Good luck to them tonight, and to the rest of us thereafter. * Currie Communications is a proudly-certified B Corporation – a company that uses the power of business to solve social and environmental problems – and an associate of the Public Relations Global Network. Mark’s first job was milking cows. An award-winning career in journalism followed. These days when he's not trying to save coral reefs in Indonesia, dreaming about playing tennis on the Masters circuit or raising three kids in a blended family he thrives on consulting work that connects profit with people and planet. The son of corgi breeders, Mark would like to change the world for the better. Read more posts by Mark.